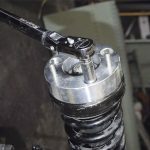 This post show a step-by-step guide on how to upgrade your Ford F150 navigation by yourself. This entire process takes approximately 40 minutes. Please be patient and do NOT remove any of these devices until prompted. At times your screen will occasionally go black…that is expected. 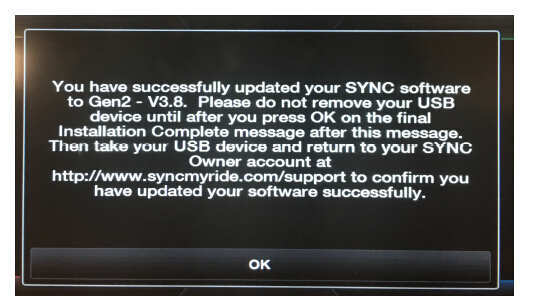 Note:In the following step, you will receive an error if you already have the latest sync2 software update. In that case, skip to step 4. 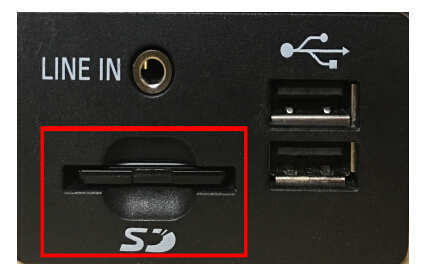 Step 1: Insert the USB Flash drive labeled #1 into one of the vehicle’s USB ports (this port is normally located in the center console of the vehicle – see picture below). The screen below (to the right) will appear. Select “ok” to continue. 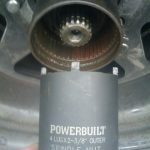 Note:This step takes up to 30 minutes to complete.Please keep your vehicle running (not Accessory Mode) throughout appear to be stuck for several minutes.If you choose to Upgrade your vehicle while idling in your driveway,make sure during this time.Additionally,always make sure airflow under the vehicle is not blocked by tall grass,snow or any other obstruction.Do not remove your USB device from the USB port until SYNC displays a final Installation Complete message.At that time you will be asked to press OK to exit the installation process.Now press OK to continue,and the update will begin. Step 2: At the completion of the sync update, the screen below will appear. Just select “ok” to continue (signing into “Sync My Ride” is not required). Step 4: Insert the USB Flash drive labeled #2 into the vehicle’s USB port. 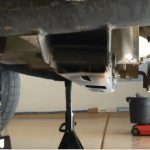 You will notice a couple of additional files being installed. This step takes approximately 2 minutes. Step 5: After the screen below appears twice (the system will reboot twice), you can now remove the USB Flash drive labeled #2 from the vehicle’s USB port. Step 6: Now insert the “OBD Genie” into the vehicle’s OBD port. The OBD port is normally located under the driver’s side dash panel – see the left picture below. This step takes approximately 30 seconds. When the GREEN LED light appears in the “OBD Genie” you can remove it from the OBD port – see the right picture below. you can enjoy your new navigation upgrade. A – No. This upgrade is for one use only. 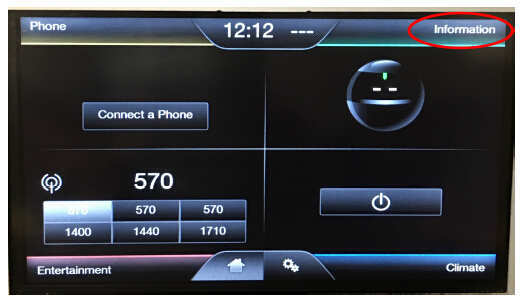 Performing this update in another vehicle can result in internal issues within the infotainment system. A – Yes. We suggest that the vehicle should remain running throughout the process. not do this process in your garage with the garage door closed. A – Yes. You will get an error after installing USB Flash Drive #1 saying “You have already updated your software successfully. Please remove the USB device.” Just select “ok” and then remove the Flash Drive #1 and proceed with step 4 (USB Flash Drive #2). A – Yes. 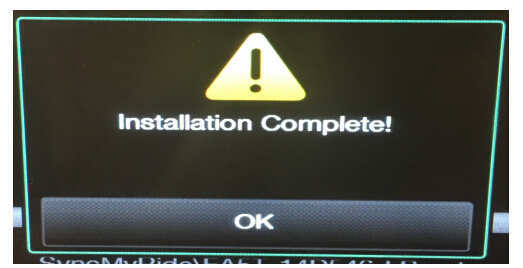 A dealer SYNC system reflash or update WILL affect this navigation upgrade. Make it clear to the dealer NOT to do this without your permission. If they want to do this to correct an issue PLEASE contact us first! A – No. SiriusXM subscriptions are NOT affected by our kit – your SiriusXM ID will remain the same.